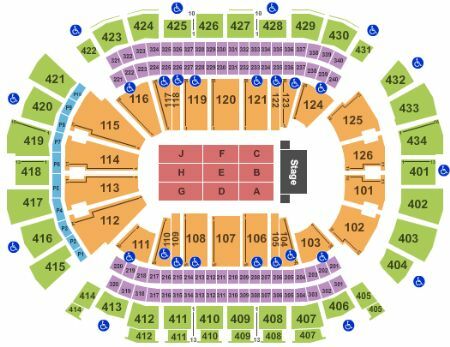 Kiss Houston Tickets - 9/9/2019 - Toyota Center at Stub.com! FLASH PARKING PASS ONLY: DOES NOT INCLUDE ADMISSION TO EVENT. These tickets are Flash Seats meaning the tickets will be transferred to a Flash Seats account where you will need a credit card tied to the account for entry. Tickets will be ready for delivery by Sep 02, 2019. Flash Seats. Tickets will be ready for delivery by Sep 04, 2019. ADA accessible these tickets allow for wheelchair access if needed. Chairs are provided for non-wheelchair customers. Includes access to a private bar. Private Air-Conditioned Restrooms. Tickets will be ready for delivery by Sep 08, 2019. ADA accessible these tickets allow for wheelchair access. Tickets will be ready for delivery by Sep 03, 2019. ADA accessible wheelchair accessible seating. One member of your party must be disabled to use these tickets. Chairs are provided for non-wheelchair customers. Flash Seats. Tickets will be ready for delivery by Sep 03, 2019. These are Club Section seats. Tickets will be ready for delivery by Sep 05, 2019. Flash Seats. First row in this section. Tickets will be ready for delivery by Sep 06, 2019.